Mega Sale! 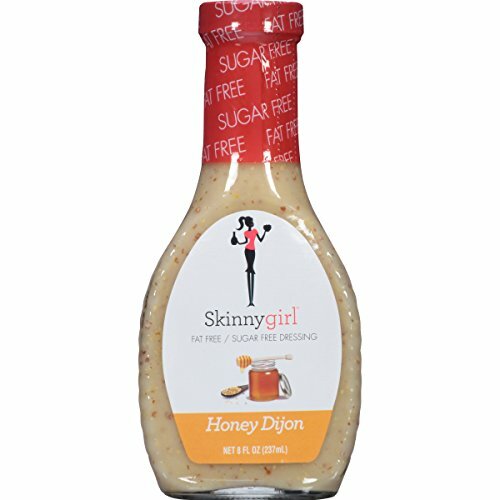 Save 26% on the Skinnygirl Salad Dressing, Honey Dijon, 8 Ounce (Pack of 12) by Skinnygirl at Smokey Robinson Foods. Hurry! Limited time offer. Offer valid only while supplies last. You lead an active life, and you’re beyond busy. You want convenient go-to salad dressings, but also want to be able to pronounce the ingredients. You lead an active life, and you’re beyond busy. You want convenient go-to salad dressings, but also want to be able to pronounce the ingredients. Well, you’re in luck. Delicious and flavorful choices are now made easy with Skinnygirl Salad Dressings, adding ease and flair to your everyday meals. You, along with your family and friends, are sure to be pleased with Skinnygirl’s assortment of dressings, including: Raspberry Vinaigrette, Balsamic Vinaigrette, Honey Dijon, and Poppy seed. Great tasting salad dressing without the guilt. At Skinnygirl, we believe women can have it all: a truly balanced lifestyle, with delicious, smart products to help them enjoy everything they love. No guilt. No hassle.